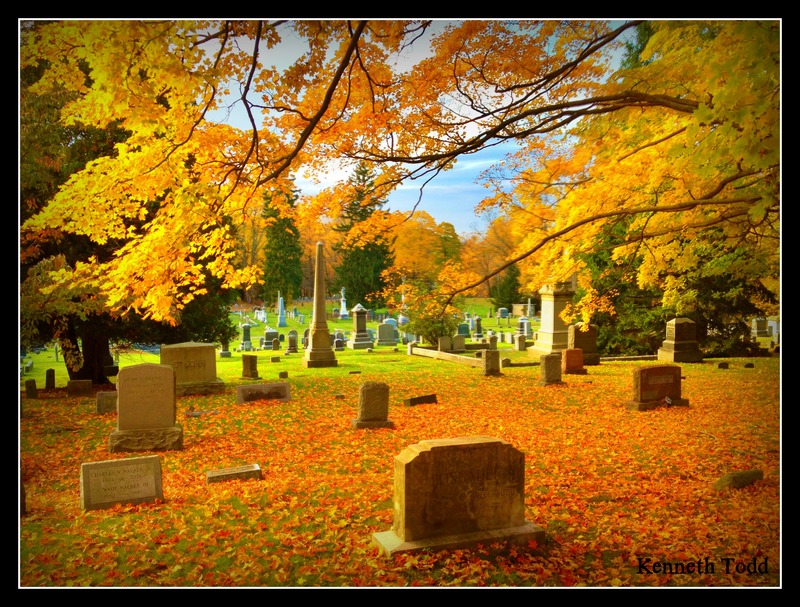 Went for a run this afternoon and was blown away by the colors of the tree by this graveyard. The title has dual meaning for the leaves and for the bodies of those who once roamed. It is a reminder for us all to know that it is a fate that beckons all of us. So make it count. Make everyday here count. Forget about the need to be right and judge, to be too stressed and have no time for others. Everyday you are writing your story on your canvas. Creating your legacy. It doesn’t have to be up in big lights either, it doesn’t need to be huge. It is the small things that count. Providing an ear, being kind, generous and patient. Loving others and yourself. These are the most important elements of a lasting legacy. These are easily and freely passed onto kids, loved ones, neighbors, friends and colleagues. These make them feel good and ultimately they share that with others. No matter what you have done in the past or how you have behaved. You can start a fresh right now. Make today count. “Do not die with your music still in you.” – Wayne Dyer. I find it interesting how this time of the year seems to lead some of us into graveyards – wonder why that is? I’ve seen a number of graveyard scenes on flicker, a few more on G+, and a friend and I did a graveyard shoot yesterday that is resulting in a series titled “shots from our afternoon with the dead”. Thanks for comments. Interesting thoughts. Would love to see your graveyard series.